Eadweard James Muybridge was an English photographer important for his pioneering work in photographic studies of motion and in motion-picture projection. He adopted the name Eadweard Muybridge, believing it to be the original Anglo-Saxon form of his name. He immigrated to the United States as a young man but remained obscure until 1868, when his large photographs of Yosemite Valley, California, made him world famous. 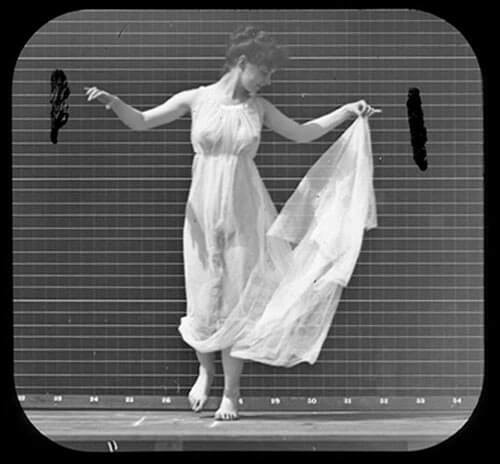 Muybridge is known for his pioneering work on animal locomotion in 1877 and 1878, which used multiple cameras to capture motion in stop-action photographs, and his zoopraxiscope, a device for projecting motion pictures that pre-dated the flexible perforated film strip used in cinematography. Who are the most famous photographers of all time? Hard to say but here is a top 10 with a list of incredible masters of photography. Even if you don't know a lot about photography you have certainly heard of them. The choice we made was not based on the beauty of the work but on the popularity of the photographers and their images. 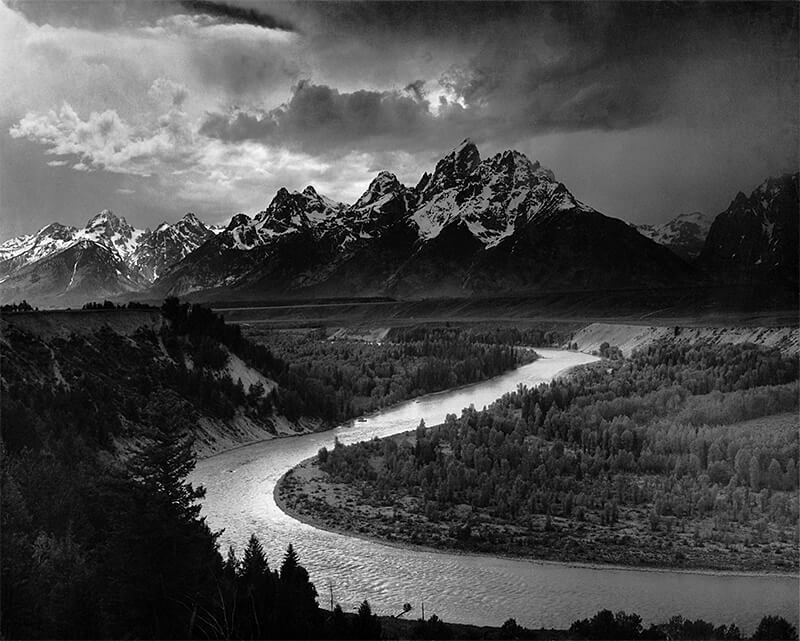 Ansel Easton Adams was an American photographer and environmentalist, best known for his black-and-white photographs of the American West, especially in Yosemite National Park. With Fred Archer, Adams developed the Zone System as a way to determine proper exposure and adjust the contrast of the final print. The resulting clarity and depth characterized his photographs and the work of those to whom he taught the system. Adams primarily used large-format cameras despite their size, weight, setup time, and film cost, because their high resolution helped ensure sharpness in his images. Adams founded the Group f/64 along with fellow photographers Willard Van Dyke and Edward Weston. Adams's photographs are reproduced on calendars, posters, and in books, making his photographs widely distributed. On 3 December 1938 Picture Post introduced 'The Greatest War Photographer in the World: Robert Capa' with a spread of 26 photographs taken during the Spanish Civil War. But the 'greatest war photographer' hated war. Born Andre Friedmann to Jewish parents in Budapest in 1913, he studied political science at the Deutsche Hochschule für Politik in Berlin. Driven out of the country by the threat of a Nazi regime, he settled in Paris in 1933. He was represented by Alliance Photo and met the journalist and photographer Gerda Taro. 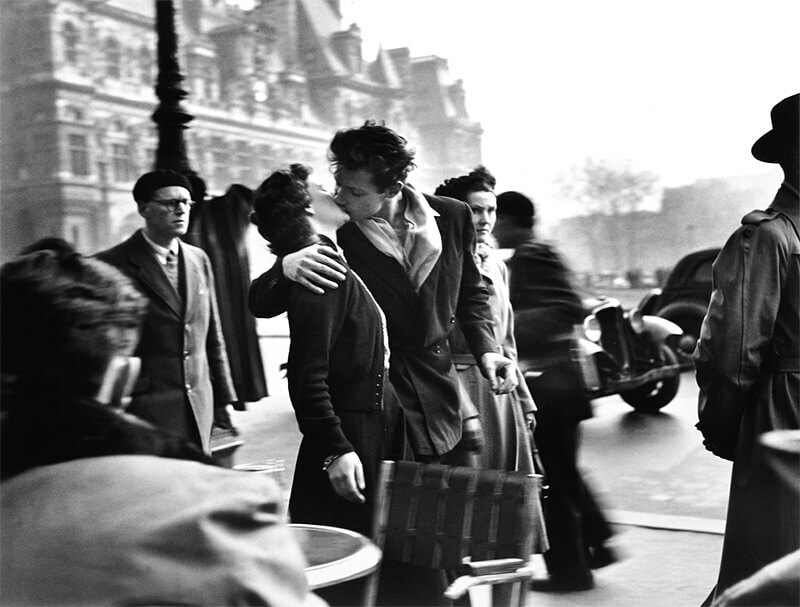 Together, they invented the 'famous' American photographer Robert Capa and began to sell his prints under that name. He met Pablo Picasso and Ernest Hemingway, and formed friendships with fellow photographers David 'Chim' Seymour and Henri Cartier-Bresson. 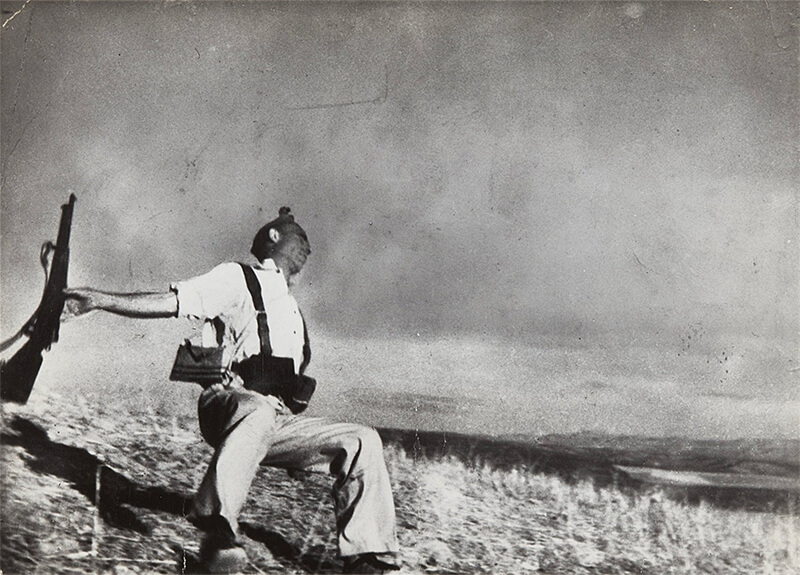 From 1936 onwards, Capa's coverage of the Spanish Civil War appeared regularly. His picture of a Loyalist soldier who had just been fatally wounded earned him his international reputation and became a powerful symbol of war. After his companion, Gerda Taro, was killed in Spain, Capa travelled to China in 1938 and emigrated to New York a year later. As a correspondent in Europe, he photographed the Second World War, covering the landing of American troops on Omaha beach on D-Day, the liberation of Paris and the Battle of the Bulge. 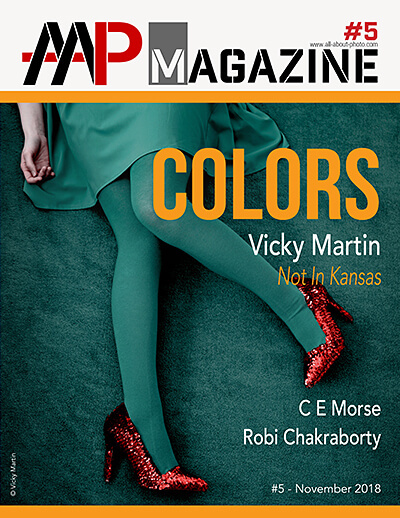 In 1947 Capa founded Magnum Photos with Henri Cartier-Bresson, David Seymour, George Rodger and William Vandivert. On 25 May 1954 he was photographing for Life in Thai-Binh, Indochina, when he stepped on a landmine and was killed. The French army awarded him the Croix de Guerre with Palm post-humously. 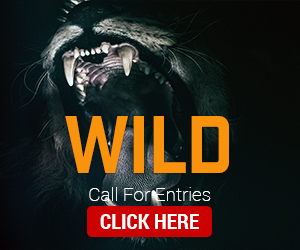 The Robert Capa Gold Medal Award was established in 1955 to reward exceptional professional merit. Born in Chanteloup, Seine-et-Marne, Henri Cartier-Bresson developed a strong fascination with painting early on, and particularly with Surrealism. In 1932, after spending a year in the Ivory Coast, he discovered the Leica - his camera of choice thereafter - and began a life-long passion for photography. In 1933 he had his first exhibition at the Julien Levy Gallery in New York. He later made films with Jean Renoir. Taken prisoner of war in 1940, he escaped on his third attempt in 1943 and subsequently joined an underground organization to assist prisoners and escapees. In 1945 he photographed the liberation of Paris with a group of professional journalists and then filmed the documentary Le Retour (The Return). In 1947, with Robert Capa, George Rodger, David 'Chim' Seymour and William Vandivert, he founded Magnum Photos. After three years spent travelling in the East, in 1952 he returned to Europe, where he published his first book, Images à la Sauvette (published in English as The Decisive Moment). He explained his approach to photography in these terms, '"For me the camera is a sketch book, an instrument of intuition and spontaneity, the master of the instant which, in visual terms, questions and decides simultaneously. It is by economy of means that one arrives at simplicity of expression." From 1968 he began to curtail his photographic activities, preferring to concentrate on drawing and painting. In 2003, with his wife and daughter, he created the Fondation Henri Cartier-Bresson in Paris for the preservation of his work. Cartier-Bresson received an extraordinary number of prizes, awards and honorary doctorates. He died at his home in Provence on 3 August 2004, a few weeks short of his 96th birthday. André Kertész, born Kertész Andor, was a Hungarian-born photographer known for his groundbreaking contributions to photographic composition and the photo essay. In the early years of his career, his then-unorthodox camera angles and style prevented his work from gaining wider recognition. Kertész never felt that he had gained the worldwide recognition he deserved. Today he is considered one of the seminal figures of photojournalism. Expected by his family to work as a stockbroker, Kertész pursued photography independently as an autodidact, and his early work was published primarily in magazines, a major market in those years. This continued until much later in his life, when Kertész stopped accepting commissions. He served briefly in World War I and moved to Paris in 1925, then the artistic capital of the world, against the wishes of his family. In Paris he worked for France's first illustrated magazine called VU. Involved with many young immigrant artists and the Dada movement, he achieved critical and commercial success. Due to German persecution of the Jews and the threat of World War II, Kertész decided to emigrate to the United States in 1936, where he had to rebuild his reputation through commissioned work. In the 1940s and 1950s, he stopped working for magazines and began to achieve greater international success. His career is generally divided into four periods, based on where he was working and his work was most prominently known. They are called the Hungarian period, the French period, the American period and, toward the end of his life, the International period. 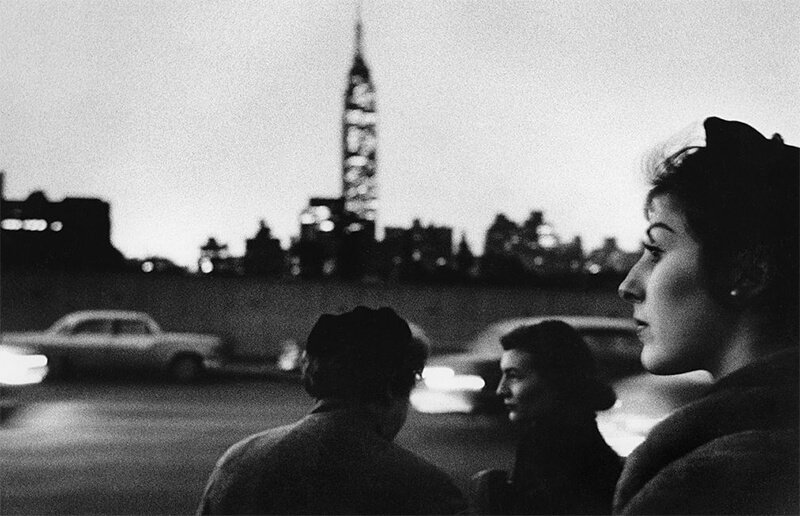 Robert Frank is one of the most acclaimed photographers of the 20th century. His seminal book, The Americans, is arguably the most influential publication of photography among artists that followed. 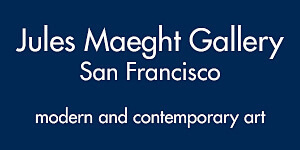 In 2009, a major substantial touring monographic exhibition and scholarly catalogue organized by Sarah Greenough made stops at the National Gallery of Art, Metropolitan Museum of Art, and the San Francisco Museum of Modern Art. Looking In: Robert Frank's The Americans coincides with the 50th anniversary of the publication of The Americans, first released in 1958 by Parisian publisher Robert Delpire, and in 1959 by Grove Press, which made the book available to a wider audience. 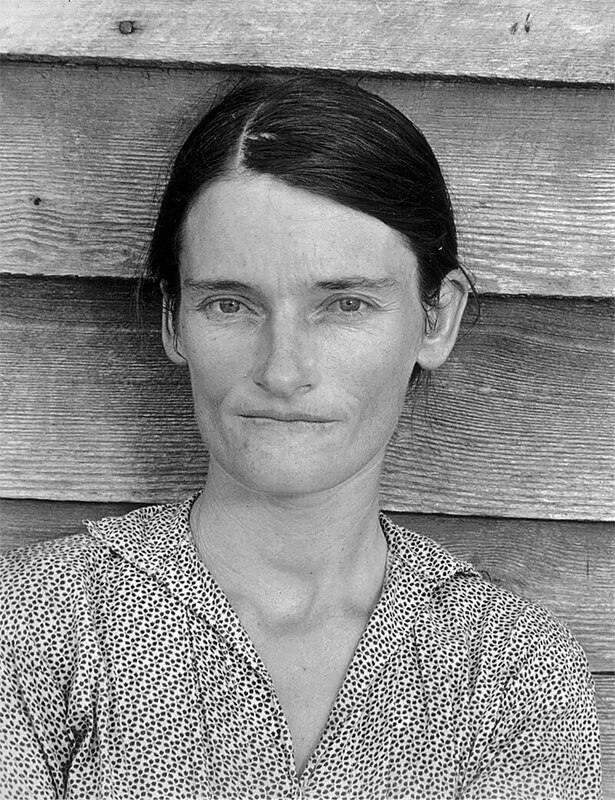 Walker Evans is one of the most influential artists of the twentieth century. 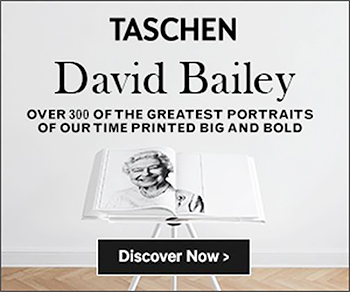 His elegant, crystal-clear photographs and articulate publications have inspired several generations of artists, from Helen Levitt and Robert Frank to Diane Arbus, Lee Friedlander, and Bernd and Hilla Becher. The progenitor of the documentary tradition in American photography, Evans had the extraordinary ability to see the present as if it were already the past, and to translate that knowledge and historically inflected vision into an enduring art. His principal subject was the vernacular-the indigenous expressions of a people found in roadside stands, cheap cafés (1971.646.35), advertisements (1987.1100.59), simple bedrooms, and small-town main streets. For fifty years, from the late 1920s to the early 1970s, Evans recorded the American scene with the nuance of a poet and the precision of a surgeon, creating an encyclopedic visual catalogue of modern America in the making. Edward Henry Weston was a 20th century American photographer. He has been called "one of the most innovative and influential American photographers..." and "one of the masters of 20th century photography. "Over the course of his forty-year career Weston photographed an increasingly expansive set of subjects, including landscapes, still lifes, nudes, portraits, genre scenes and even whimsical parodies. It is said that he developed a "quintessentially American, and specially Californian, approach to modern photography"because of his focus on the people and places of the American West. In 1937 Weston was the first photographer to receive a Guggenheim Fellowship, and over the next two years he produced nearly 1,400 negatives using his 8 x 10 view camera. Some of his most famous photographs were taken of the trees and rocks at Point Lobos, California, near where he lived for many years. Weston was born in Chicago and moved to California when he was 21. He knew he wanted to be a photographer from an early age, and initially his work was typical of the soft focus pictorialism that was popular at the time. Within a few years, however, he abandoned that style and went on to be one of the foremost champions of highly detailed photographic images. In 1947 he was diagnosed with Parkinson's disease and he stopped photographing soon thereafter. He spent the remaining ten years of his life overseeing the printing of more than 1,000 of his most famous images. Jacques Henri Lartigue is 69 years old in 1963 when he first presents a selection of his many photographs taken throughout his life in New York's MoMa. That same year there is a photo spread of his work in the famous Life Magazine issue which commemorates the death of John Fitzgerald Kennedy, and which is publicized worldwide. 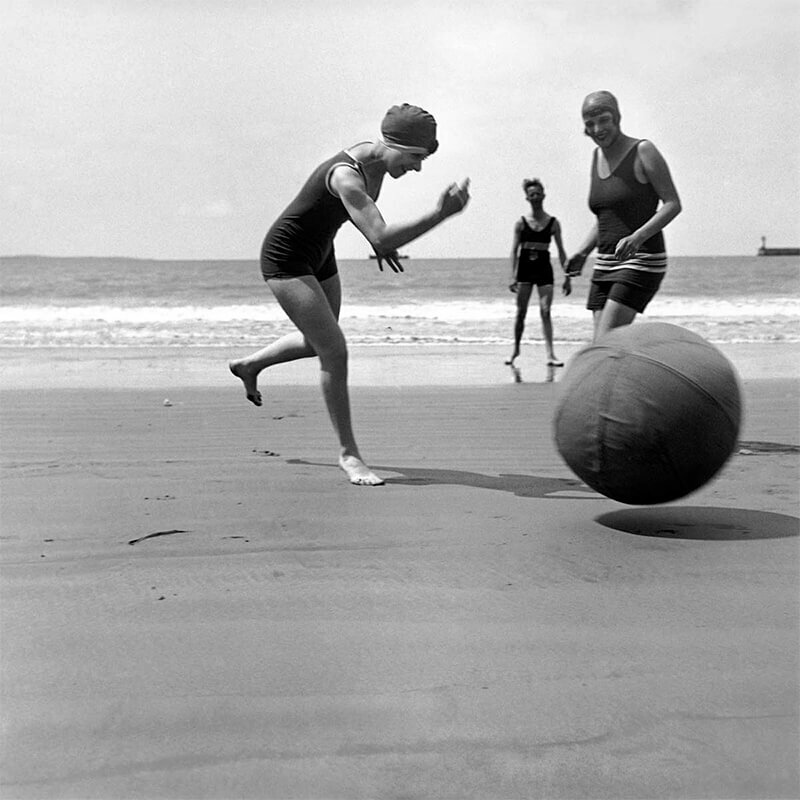 To his great surprise, Lartigue becomes, overnight, one of the renowned photographers of the twentieth century. Jacques learns about photography from his father as early as the year 1900. Henri Lartigue rewards Jacques's enthusiasm by buying him his first camera when he is 8 years old. Thus begins the endless coverage of his childhood, including automobile outings, family holidays and especially his older brother Maurice's (nicknamed Zissou) inventions. Both brothers are fascinated by cars, aviation, and all sports with increasing popularity at the time. Jacques's camera freezes each moment. As an adult he continues to attend sporting events and to take part in elite sports such as skiing, skating, tennis and golf. However, ever mindful of the passage of time, photography is not quite enough to capture his childhood memories. A snapshot cannot encompass all there is to say and to remember. He thus begins keeping a journal and will continue to do so his whole life. Furthermore, as if to engage in a more renowned activity, he takes up drawing and painting. In 1915 he briefly attends the Julian Academy and thus painting becomes and remains his main professional activity. From 1922 on he exhibits his work in shows in Paris and in the south of France. In the meantime, in 1919, Jacques marries Madeleine Messager, the daughter of the composer André Messager, and their son Dani is born in 1921. Jacques and Madeleine get a divorce in 1931. He revels in high society and luxury until the beginning of the 1930's until the decline of the Lartigue fortune forces him to search for other sources of income. He refuses however to take on a steady job and thus lose his freedom, and so he scarcely gets by with his painting during the 30's and 40's. In the beginning of the 1950's and not in accordance with the legend in which he is a complete unknown, his work as a photographer is noticed. He nevertheless continues to paint. He embarks on a cargo ship to Los Angeles in 1962 with his third wife Florette. In a roundabout way, they stop on the East Coast and meet Charles Rado of the Rapho Agency who in turn contacts John Szwarkoski, MoMa's photography department young curator. There is all-around enthusiasm.  The first retrospective of his work is held in Paris' "Musée des Arts Décoratifs" in 1975. One year earlier, Lartigue was commissioned by the President of France Valéry Giscard d'Estaing to shoot an official portrait photograph. In 1979 the Donation Agreement is signed and Lartigue becomes the first living French photographer to donate his work to the nation. He authorizes the Association des Amis de Jacques Henri Lartigue to preserve and promote the fund. 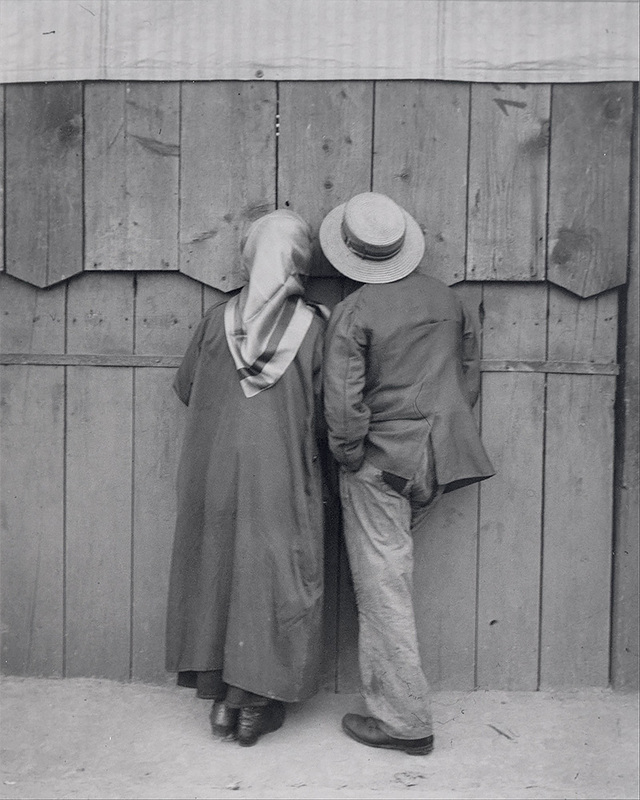 In 1980, his dream of having his own museum comes true with the Grand Palais' exhibit "Bonjour Monsieur Lartigue". He continued his work as a photographer, painter and writer until his death in Nice on September 12th 1986. He was 92 years old. He left us with more than 100 000 snapshots, 7 000 pages of diary, 1 500 paintings. 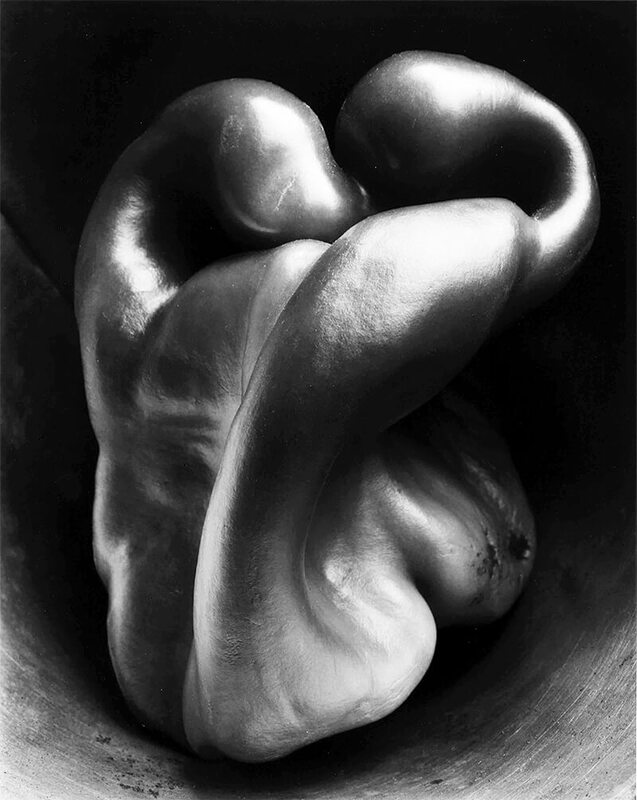 Edward Henry Weston was a 20th century American photographer. He has been called "one of the most innovative and influential American photographers..." and "one of the masters of 20th century photography. "Over the course of his forty-year career Weston photographed an increasingly expansive set of subjects, including landscapes, still lifes, nudes, portraits, genre scenes and even whimsical parodies. It is said that he developed a "quintessentially American, and specially Californian, approach to modern photography" because of his focus on the people and places of the American West. In 1937 Weston was the first photographer to receive a Guggenheim Fellowship, and over the next two years he produced nearly 1,400 negatives using his 8 x 10 view camera. Some of his most famous photographs were taken of the trees and rocks at Point Lobos, California, near where he lived for many years. Weston was born in Chicago and moved to California when he was 21. He knew he wanted to be a photographer from an early age, and initially his work was typical of the soft focus pictorialism that was popular at the time. Within a few years, however, he abandoned that style and went on to be one of the foremost champions of highly detailed photographic images. In 1947 he was diagnosed with Parkinson's disease and he stopped photographing soon thereafter. He spent the remaining ten years of his life overseeing the printing of more than 1,000 of his most famous images. Dorothea Lange was an American documentary photographer, who studied photography at Columbia University and worked as an assistant to Arnold Genthe before beginning a photographic trip around the world in 1918. When she ran out of funds in San Francisco, she remained, opened a photographic studio, and during the early 1930s began photographing homeless rural people flooding into the city from the Dust Bowl exodus. Her photographs brought her to the attention of Paul Taylor, an economist at California University, who hired her to create a documentary record to accompany his report on agricultural conditions for the California State Relief Administration, and subsequently married her. When Roy Stryker saw these images, he hired her as a staff photographer for the Farm Security Administration (FSA), for which she worked sporadically as Stryker's budget allowed 1935-9. 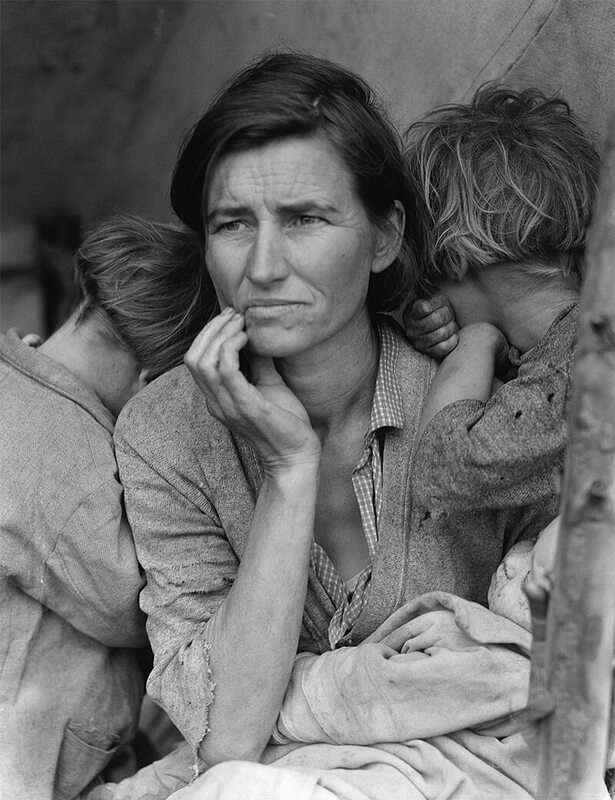 During this period, she made many of her best-known photographs, including the image known as Migrant Mother (1936). She later also photographed for the San Francisco branch of the Office of War Information, 1943-5, recording the internment of Japanese-Americans and the founding of the United Nations. In 1954-5 she was a photographer for Life magazine, afterwards travelling extensively and producing photographic essays on Ireland, Egypt, and Asia.